There’s nothing better than having a pair of work clogs that offer everything from comfort to durability to protection. These Timberland PRO Women's Brown Riveter TB0A1KJJ 214 Alloy Toe Work Clogs are designed to provide satisfaction in all three areas. You’ll ... (see full details) (see specifications) #TB0A1KJJ214. There’s nothing better than having a pair of work clogs that offer everything from comfort to durability to protection. These Timberland PRO Women's Brown Riveter TB0A1KJJ 214 Alloy Toe Work Clogs are designed to provide satisfaction in all three areas. You’ll experience comfort thanks to breathable liners and energy returning footbeds. You’ll benefit from the durability that comes from the leather uppers - and you’ll appreciate the protection provided by the alloy safety toes. Firstly, these women's leather work clogs are super comfortable. The alloy safety toe shoes are designed with mesh linings that feature anti-microbial treatment for odor control. The mesh lining promotes breathability to keep your feet cool and dry, and the odor-control technology fights bacteria from sweat that causes odor. The mesh will leave you feeling fresh wear after wear. Furthermore, the slip-resistant women's clogs are built with dynamic anti-fatigue footbeds. They are shock-absorbing and energy returning in key zones across your feet. Molded and inverted cones support, collapse, and return energy in the key pressure zones to reduce foot exhaustion and pain from use. For more shock-absorbing comfort, the safety toe Riveter clogs are built with a fiberglass shank. It absorbs the force of impact that occurs when your feet hit the ground. That way, your feet don't become tired or pained. The all-weather Timberland PRO clogs are perfect for women's feet because they're specially designed to offer optimal support and a one-of-a-kind fit based on women's feet. Secondly, these women's static dissipative clogs are durable. The heat-resistant work shoes are designed with premium full-grain leather uppers that combat wear and tear. Leather is super tough and sleek to the touch, too. The uppers are also non-mutilating. Moreover, the anti-fatigue clogs have non-marking, all-weather thermoplastic urethane outsoles. The rugged outsoles are also built with polyurethane midsoles for enhanced support and performance. The oil-resistant clogs offer incredible durability due to the combination of the TPU outsole and the full-grain brown leather uppers. Thirdly and finally, these women's non-marking shoes are protective. The odor control clogs are crafted with alloy safety toes that meet the requirements for the safety standard ASTM F2413-11 I/75 C/75. Essentially, the alloy toes can keep your toes safe in the event of drop impact and compression. And the shock-absorbing brown clogs are also made with a static-dissipative outsole. It, too, meets the requirements for the aforementioned standard. Lastly, the mesh-lined clogs are designed with heat-, oil-, and slip-resistant soles. The outsole is heat-resistant up to 248 degrees Fahrenheit, and it offers enhanced traction on frosted ice surfaces while maintaining flexibility longer in cold temperatures. 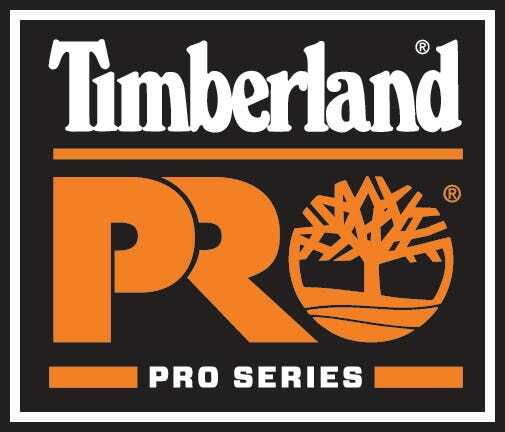 Get these Timberland PRO Women's Brown Riveter TB0A1KJJ 214 Alloy Toe Work Clogs here at Working Person’s Store today for long-lasting comfort, durability, and protection. Timberland PRO Shoes: Women's Brown Riveter TB0A1KJJ 214 Alloy Toe Work Clogs is being added to your cart.